Creating a moving schedule is a smart way to ensure the process goes smoothly. It can help you know how much time to take off work. It can help you coordinate a variety of areas of your life that might be affected. Plus, you’ll be able to tell any help you enlist exactly how much help you’ll need. Perhaps the only challenge to plotting out your schedule just right is finding a reasonable estimate of how long the move will take. There are a lot of variables that can make finding a close enough time estimate difficult. The good news is that there are ways to tell. You might not be able to pinpoint it down to the half hour, but can make an educated guess that proves quite close. Of course, measuring by room size or number of rooms doesn’t always lead to an accurate prediction. Some people have a lot of stuff. Some are hoarders. Some are extreme minimalists. When using this method, understand that it’s based on the way average rooms are filled. If you have a studio or one bedroom apartment, the move can take as little as two to three hours. From there, add another two hours for each additional bedroom. 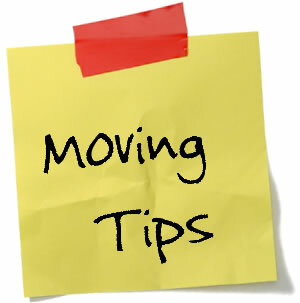 Moving a four bedroom home, for example, should take about six to seven hours with four movers. Some factors, such as the weather, are beyond your control. Things like the distance between your old place and the new one can have a big impact on how long it takes you to move. Even things like the size and speed of an elevator may serve as variables. When trying to estimate your moving time, try to account for as many of these kind of issues as possible. It’s always a good idea to leave a little buffer time in your moving schedule to compensate for unforeseen variables that could throw your move off track. Moving is a project that’s notorious for being time-consuming. Those who are most prepared are the most able to set a schedule that works. If time will be of the essence and you want to maximize efficiency, be sure to get some seasoned moving professionals on your team. They can help you know what what to plan for when making your schedule and keep your moving day on the right track.